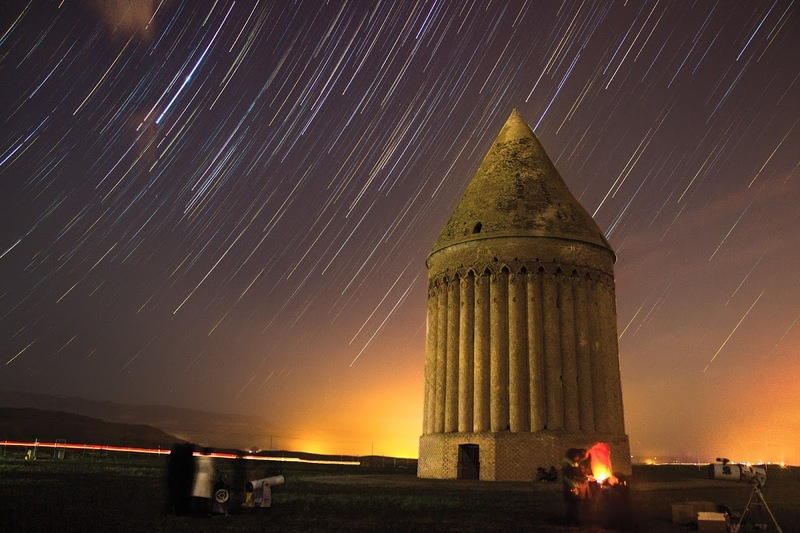 It is exciting for Young Travelers and Families mostly for the reason to experience Eco camping and having the opportunity to see the pure sky of Iran and using a telescope is fun for both children and adults. It is exciting for pilgrims mostly for the reason of getting familiar with prayer Times. you can Find 36 cracks of 10°. 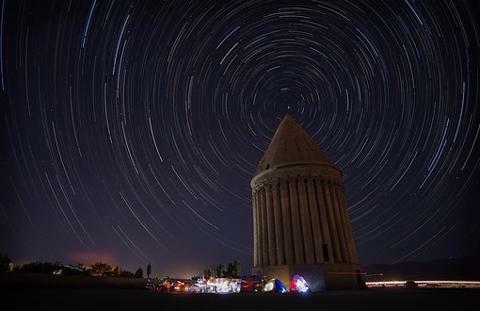 The opportunity of a finding of the leap year, Revolution of the Spheres, the exact day, hour, minute and second of one round of earth around the sun (which is the start of the spring in Iran and beginning of Nowruz. 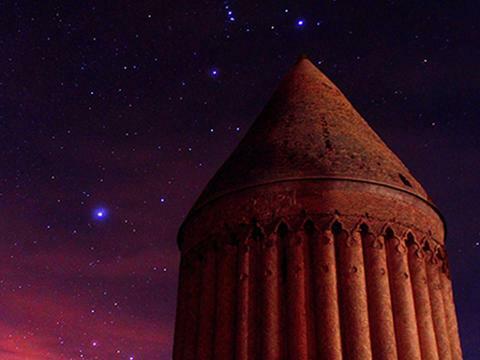 The Tower is built by Nasir al-din al-Tusi the great Persian polymath, architect, philosopher, physician, scientist, and theologian. He lived in 1200 AD. Depart the city five hours before sunset. It depends on the time of sunset in different time of the year. Our first stop is in Akhlamad waterfall. We settle down before the sunset in Radkan Tower to enjoy our tea and the view of the sun going down on the Horizon. We start our Night sky observation as it gets dark.